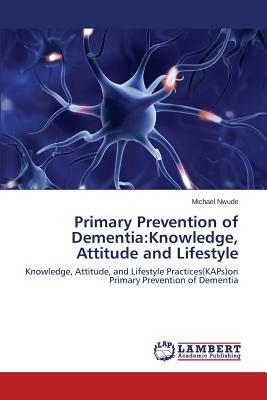 This book was aimed at identifying effective primary preventive measures for dementia. Through an in-depth literature review domains of knowledge, attitude and healthy lifestyle practices (KAPs) related to prevention of dementia were examined. The KAPs findings were compared with the KAPs findings in the community. Some protective risk factors identified for dementia include certain medications, control of certain medical and psychosocial problems, judicious alcohol and coffee intake, regular physical and mentally stimulating activities, intake of enough water, balanced diets, fruits and vegetables; and avoidance of head injuries, illicit substances and toxins. Some negative risk factors identified for dementia include exposure to excessive mental stress, alcohol and coffee intake; and certain medical problems. Upon scientific analysis and comparison of the findings in the literature with the findings in the community the author identified healthy lifestyle knowledge as the most significant factor for prevention of dementia. Some community-based intervention programs and primary preventive strategies for dementia are also covered.